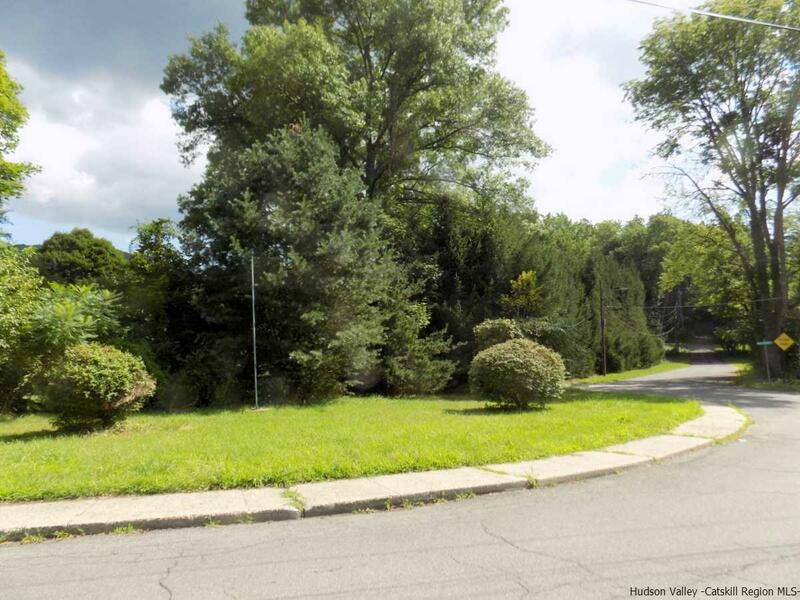 Really nice level 1.4 acre building site in a tree shaded area of Ellenville. Beautiful corner lot features two curb cuts, municipal water, municipal sewer, natural gas and good road frontage. R1 zoning allows a minimum lot size of 10,000 square feet, this lot is over 60,000 sq. ft., so subdivision is a possibility. The lot is mostly open, had once been the site of a large house and a couple of sheds remain. Mature screening plantings make for a private building site. A survey has been completed.